ruby slipper is honored to be a part of the DANCIN Vineyards web team.Initially created by the ever-talented Laurel of Creative Marketing Design, ruby slipper directed a refresh in the winter of 2017. Visit often to see their current events, their delicious menu, and not to mention, their bountiful award-winning wines. 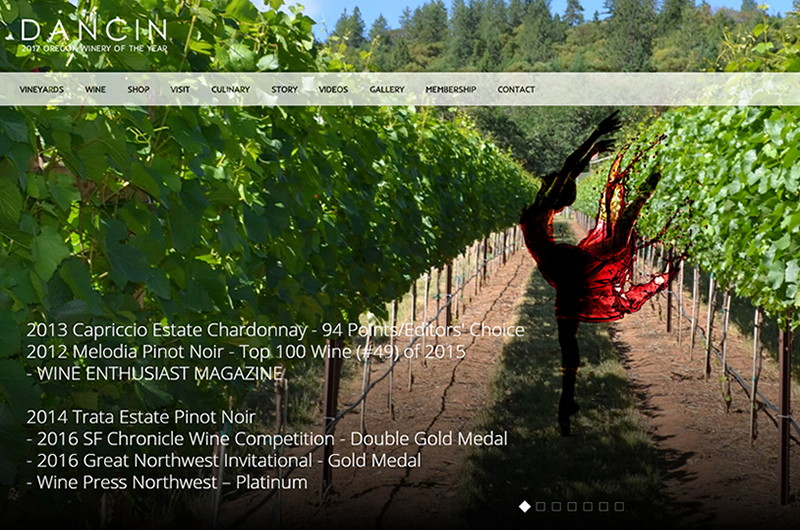 DANCIN has been recognized by Southern Oregon Magazine as The Very Best Winery of 2017, and by Wine Press Northwest as the 2017 Oregon Winery of the Year. We have collaborated with Erin on a site refresh as well as building a brand new website. Our experience with these two very different projects exceeded our expectations, and we would not hesitate in recommending Erin and Ruby Slipper Designs to anyone needing similar services!